American society, fragmented by income inequality, racism, and sexism, produces anxiety and is full of risk and stressors. The socialization of men and boys in the U.S. is at odds with advancing their mental health and well-being. Trauma and its associated symptoms of mental and psychological illness are more prevalent in the U.S. than in most other countries around the world, and disproportionately affect boys and men of color. Compared to women, men are at equal or greater risk for mental illness, and yet they are less likely to be correctly diagnosed or to receive needed mental health care. Boys and men of color are less likely than white men and boys to receive treatment for depression —either prescription medication or from a mental health provider—and this difference is not accounted for by socioeconomic or health insurance status. The mental health workforce doesn’t meet the needs of the diversity of cultures present in the United States. The average mental health worker is a middle-aged white woman. Okay. Take a deep breath, and let’s talk about silly mustaches for a minute before we get back into it. Guess who wanted this report? 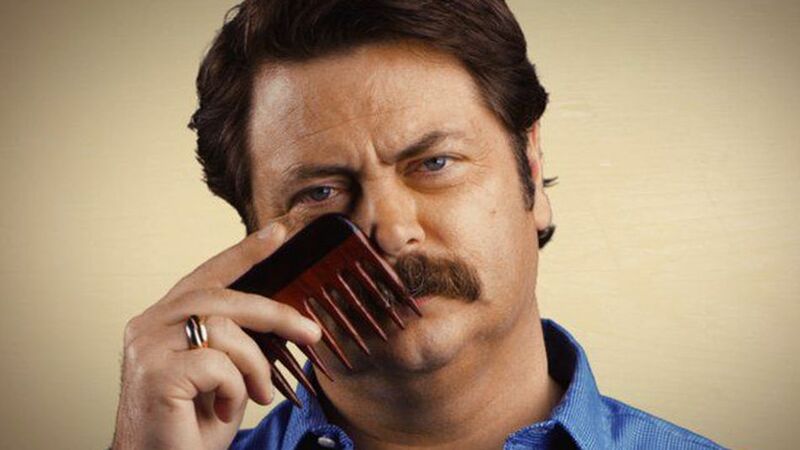 You got it: the Movember Foundation. Because, as you may have expected, after that laundry list of issues, the report concludes that a luxurious mustache is all a man really needs for total mental well-being. Just kidding. But it did surprise me that Movember has a serious mental health focus. All I’d ever heard about the organization was that it focused on “men’s health.” According to its website, Movember encourages men to grow mustaches during the month of November to start conversations and raise money for programs focusing on prostate cancer, testicular cancer, and mental health. None of Movember’s most viral online PSAs mention these three health issues at all. Movember’s messaging strategy stays as far away as possible from emotionally-loaded words like cancer or mental health. Instead, the ads play on over-the-top (usually tongue-in-cheek) stereotypes of masculinity while downplaying the focus on men’s health. While there all kinds of issues with the use of gender stereotypes in advertising, it’s interesting to think about the particular ones Movember doesn’t choose to use: there is no militarism or aggression in these ads. Think about it – they could be all about “joining together to fight” or “winning the war against cancer.” The use of humor instead of aggression creates a completely different tone. I’m not saying that Movember can’t do better. As they draw people in with humor, it is their responsibility to keep pushing the envelope in terms of what images of masculinity they show. I do think they’re on the right track with abandoning a specific awareness-raising mission in their mainstream ads in favor of a fundraising mission that supports valuable research and programs. Why is specific awareness-raising not the best approach? Let’s go back to the mental health report, which sheds a lot of light on the structural impediments to men’s mental health, and describes how men are conditioned from a very young age not to seek help, and socialized in many ways not to develop support networks. In this talk, Porter describes something he calls “the man box”, which is a set of severely-limiting characteristics key to men’s socialization in the U.S. Almost all the things in the “man box” make mainstream messaging around men’s mental (or physical) health issues a challenge. Going back to what Movember is doing, it becomes more clear that they’re working under some serious constraints. After all, how can you talk about mental health without bringing up emotions? How can you talk about cancer without bringing up a need for help? The “man box” is really limiting, and I would love to see some other successful campaigns around men’s health that push these limits. The Prevention Institute’s report confirms that community-based prevention programs around men’s health are effective, and that we need more of them. I definitely recommend reading the full report, which gets into all kinds of fascinating nuances around this issue and how best to address it. Spoiler alert: it doesn’t have any recommendations on what to do about the racism, sexism, income inequality, trauma, or overall stress of life in America.